Adesso Suki Contemporary Asian Style Lantern Floor Lamp has a collapsible bamboo-ribbed white rice paper lantern with three small Chrome finish feet. Lantern is lined with a second layer of rice paper, creating a softer, more diffused light. Its contemporary design adds modern touch and functionality and its diffused light provides subtle relaxing mood in any room setting. 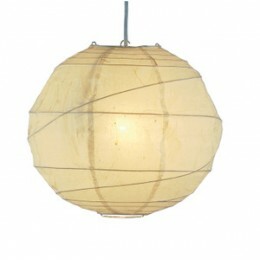 Collapsible bamboo-ribbed white rice paper lantern. Three small Chrome finish feet.